When I take my dog on a run with me, she is on a leash about 95% if the time. That other 5% of the time is mostly free runs in the Owyhee desert, where my husband is in charge of her. Why do I keep her on a leash the rest of the time? While I try not to be an alarmist, I do tend toward cautious much of the time. Trouble could come from me tripping on her leash. Or she could be injured by getting tangled, stepped on, or attacked by other dogs. People we pass might get hurt if their dogs interact unexpectedly with her, or by her moving unexpectedly in front of them. Having a leash can just help me relax and enjoy my run more. A leash helps avoid trouble, but also introduces some things to be careful of. Sometimes other people don’t seem in control even with a leash, giving the impression that their large dogs could break free at any moment. Other times, owners try so hard to give the dog the illusion of freedom that the leash is a hazard to everyone around. A runner needs to have a better trained dog, while being prepared to deal with all the untrained dogs and people. Here are some suggestions for making running with a dog safer and more enjoyable. 1. Train you dog not to pull on the leash. The way I did this was for both my dog and I to attend classes teaching the Koehler method of dog training. (Here in the Boise area, you can look up Scotchpines Dog Training.) There is a book, The Koehler Method of Dog Training: Certified Techniques by Movieland’s Most Experienced Dog Trainer , written by William Koehler, but it is currently out of print and relatively expensive. However, it is less than the cost of classes. We have a copy and found a useful for ongoing training and problem solving new situations. 2. Train your dog to heel and stop in position as you move and stop. Again, the same training suggestions as above. 3. Spend time giving your dog commands at home as part of your regular routine. My dog seems to find comfort in knowing what I expect and that I can communicate directions to her that she understands. I find all of the training useful at home. 4. Understand your dog’s limits. If your dog is young or out of shape, don’t run too far. Run in weather that doesn’t physically stress your dog. 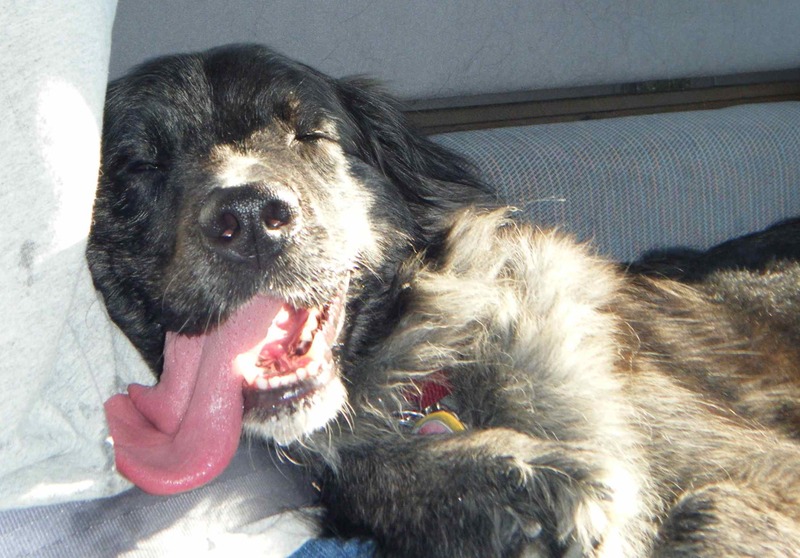 Realize that a dog’s body doesn’t cool down well enough to go fast for very long. The trot is not just a matter of being stubborn – it is the safe, survivable speed for any significant distances. 5. Choose routes that fit your dog’s capabilities and temperament. If your dog is afraid of vehicles, run on foot paths. If she is nervous in crowds, use less frequented areas or run when it isn’t crowded. If your dog’s paws are not used to asphalt, be aware of how rocky or sharp the surfaces are. That is one benefit of me being a barefoot runner. I am very aware of what my dog’s paws are encountering. If you have longer distance abilities than your dog, but you want to take her, consider a route that lets you put her in a cool, well-ventilated car at some point in the run, while you get back out there. 6. Remember that the more you take your dog out running, the more opportunity for training in behavior and increasing her strength. You will both get better at being a team. 1. Hold the leash so that your arms can swing as naturally as possible. I do this by having one end in my right hand, leash loop over the thumb per Koehler method, and then drape the leash loosely through my left hand, which is the side my dog runs on. This keeps the leash at a good length and gives me the ready option to use both arms for “corrections” without straining one arm or some fingers. She follows verbal commands and hand signals well, but if out and about, I have to be ready for the unexpected. 2. Take time to give commands (aka directions) or corrections, as necessary in the first part of the run. My dog is usually a bit excited right at first, but it is misplaced patience to be lax of the rules of the run. It just confuses her and opens up the possibility of mishap. The slight interruption is worth it for the rest of the run, which will be more pleasant as a result. 3. If there are passing dogs or people that are out of control, or small children on wheeled devices, consider stopping a few seconds before they get to you. With your dog in a stopped heel or down stay, the situation is more under control. The dog feels this, too, and often relaxes. If you are doing MAF training, this is pretty easy to accommodate during the run. I was recently very politely thanked by a 10 year old boy for making her sit, because he was nervous around dogs. 4. Watch your dog’s reaction as people approach. My dog passes many people just fine, and gets comments from them about being so well behaved, but if someone is staring at her or their faces are obscured a lot by sunglasses and hats, it can make her uneasy. 6. Sometimes, the safest thing to do is slow to a walk, so that there is less risk of tripping on her leash, like if the other dogs lunge and she feels protective. When a couple of large dogs on the other side of the path are growling and straining violently on their leashes, it is hard to fault her for being a little nervous. Sometimes, I am even wondering if the owners have the strength to be dealing with such dogs! 7. Your dog can learn that a run is not the time to relieve itself. To help out in this regard, don’t feed the poor thing just prior to taking her out for a run. Also, try to give her a little outside time before hand. Then, basically, just don’t stop for potty breaks for the dog. In over 7 years of running with my dog, she has only had trouble controlling events a handful of times. Most of those were in the first couple of years, when we both were learning. Watch the loose dog – if you have time – for indications of aggressiveness or friendliness. Speak firmly, and yell if necessary, in a deep voice if you need to keep them at a distance. Remember to check for traffic before making any sudden moves. If a loose dog attacks, be prepared to let go of the leash. This is safest for both you and your dog at this point. Yes, I have had to do this. Look for longish sticks to wave off or swat the other dog with. Do not discipline your dog for defending your of herself. Here we are getting ready for a run and Kiwi knows it. She is looking at me for what her next directions will be. 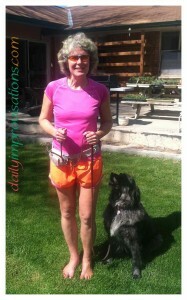 I am holding the leash similarly to how I will when I run, but there will end up being more slack between the hands. 9. Watch your dog for signs that she has run far enough. You are not training her for a marathon. She wants the companionship, some activity, and a little adventure, but there is no need to be a drill sergeant. Dragging your dog along is bad for your running form, anyway. 10. Give your dog positive feedback throughout the run. When she passes crazy dogs nicely. When she is heeling perfectly. When she nudges the side of your leg to say hello. When she is done with the run. 11. Some people suggest carrying water, but my dog will not have anything to do with water until after the run, and sometimes not until she gets home. The exception is the long runs in the desert, where she will sometimes drink anything she finds. Blech. I don’t take my dog running every time I run, but she knows when I am putting on my running clothes. Then, she looks at me with those puppy dog eyes so hopefully. When I do say “come,” I do believe she smiles. My dog Kiwi at 4 months of age. My dog, Kiwi, looks like she is a cross between an Australian Shepherd and a Golden Retriever. She was a stray that I adopted when she was about 4 months old. She goes running with me regularly for several reasons. While she is with me, she watches everything within 200 yards. I am more aware of my surroundings because of her alertness. She seems to be most concerned about other dogs and young men. Smart dog. We do have occasional discussions about squirrels and cats, but she really knows that’s not what we are out and about for. She doesn’t let people approach us uninvited. She’s very clear on this point. She can usually tell if they are just passing by or honing in on us. If someone is crowding us, like say a group of male high school runners who think they own the path, she picks just the right moment to make an impression. She helps me with my pacing. If I am running too slowly, she actually almost walks and looks bored. If I get hurt, she is very attentive and calmly comforts me. She’s knows what I wear for running, summer or winter, and is on my tail the moment she is suspicious about the possibility. She watches me closely most of the day, but when she thinks I’m going out to run, she stays within inches. When I do go without her, she mopes in a corner. While I love to have her along most of the time, there are a couple of things I have to be a bit careful of when I am completely barefoot. If we get tangled due to coming across an uncontrolled dog (which is not always a loose dog) or her reaction to warn them, I have to be ready for the possibility of needing to do some quick foot work. Otherwise, my feet might get some extra sole sanding by the pavement. If she bumps up against me, either due to watching something or because she wants to be extra close for herd protection, her toenails can scrape my upper toe skin. I have only had this happen twice in almost three years of running barefoot. Speed work can be riskier with her. If she doesn’t adjust to my pace well, or gets over excited about racing, it is harder for me to stay aware of the ground. Such inattentiveness increases the likelihood of me stepping on something I’d rather not. She has been known to cut in front of me in order to, ahem, win. When the preferred pathway is limited, due to where I want to put my feet or general obstacles, I have to be careful that her presence doesn’t accidentally push either of us too close to traffic. There are advantages to being barefoot while running with her, too. If she does push up against me, or do anything that challenges my balance, it is very easy to regain that balance in the next step. That was one of the first things I noticed about running with bare feet. The sense of balance was greatly enhanced. Both being low to the ground, as compared to most shoes, and having full use of my foot muscles and toes makes adjustments in balance much more intuitive. It’s like my feet just automatically communicate with my brain! There are a few things about running with her that have nothing to do with being barefoot. Like the fact that she is a herding dog. When other members of the family run “with” me, but actually slightly ahead or behind, poor Kiwi goes nuts trying to herd me to stay with the group (unless we are out in the desert and she can be off leash). Other than this overpowering instinct, she is very well trained thanks to our classes with Scotch Pines Dog Training. Here is one last picture of Kiwi after she has been running with us out in the Owhyees of southwest Idaho, being able to spend a lot of time off leash and chasing rabbits. A well exercised dog is a happy dog. Even if you can’t run like a dog, maybe you should consider running with one. I have been relieved to learn that I should only isotonically work each of the muscle groups twice a week. That means weight lifting. It also points to the wisdom of having a varied exercise routine for aerobic goals. That way the muscles have time to respond in a healthy way to the stress that is supposed to make them stronger. So, today, I almost walked the dog. The normal routine is for the kids and I to go to the gym 4 weekday mornings. Wednesday is my day-off of that routine, a day to begin with a more relaxing pace. Part of that is sometimes a leisurely walk with my dog. She is well trained to walk without pulling on the leash, although the occasional biker is a quite a temptation. Passing other dogs requires alertness on my part, but she is gradually learning that I will be firm every time she breaks ranks. Today was a day, however, where the schedule kept adjusting the walk right down to the bottom of the list. So I took her to D & B instead. She likes that store. It is a little scary because there are so many corners, birds squeaking in cages, and clothes hanging around on racks pretending to be people, but, on the whole, it is wonderfully fragrant and the cashier hands out tasty treats. It was extra crowded today because of a sale going on and one of the shoppers had apparently either been gone too long or overestimated his dog’s desire to wait for him. This dog surprised us both when it quietly nosed Kiwi from behind. 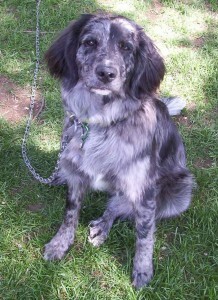 It was a cute and soft looking, reminiscent of a border collie, about half Kiwi’s size. Kiwi can be nervous, so I was pleased when she didn’t over react. She held her heel and didn’t growl, only trembled a little and did some of her own sniffing. After a few seconds of this, we proceeded into the store… and so did the other dog. Maybe the store personnel thought the dog came in with me. Kiwi began to get more uncomfortable with the ongoing attention, so I tried to discourage the pup in a friendly way. It left, only to return around another corner. The third time it showed up, Kiwi was barking a warning. I managed to get the attention of a sales person about 30 feet and an aisle away. “Excuse me. Sir? I think you have a stray dog in here.” He was very good about getting it immediately, but my adrenaline was going a bit by this time. That excitement over, we finished our shopping and checked out. No more dogs in the parking lot. I’m told that banks like patrons to take their dogs in, that it helps keep the bad guys away, but that probably doesn’t count the banks in grocery stores, so she stayed in the car for that leg of the trip. She seemed to enjoy her almost walk, hang-out-with-my-human adventure of the day, but I feel she was shortchanged. I may have to get her more accustomed to trotting along as I roller-blade. 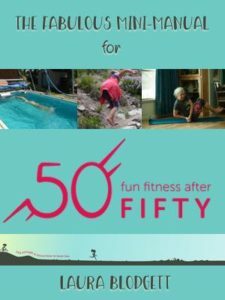 That way she can get more exercise in a shorter time? I tried that a couple of times, before she was so well trained and I took quite a spill on asphalt when she became averse to a certain passerby. Once I landed in mud around the ponds due to a loose puppy. No bruises or broken bones, though. Still, we may do a few test runs in a non-populated, circular area with lots of grass available for landing.